In this video a custom "turntable" was used so that the person being scanned us rotated smoothly, but you can also use an office chair, or move the Kinect sensor and keep the subject stationary. An Alienware 17 laptop was used for scanning because the powerful onboard GPU can process scan data at a high rate, which means you can achieve a high level of detail and fidelity when scanning. Trust me, with a scanning setup like this, you'll have hours of fun scanning people and things. I'm even wondering how I can get my cat to stand still for 30 seconds (too bad that won't happen). @mherb: it is a regular camera tripod, most of them fit the Kinect v2 sensor and have telescopic feet. 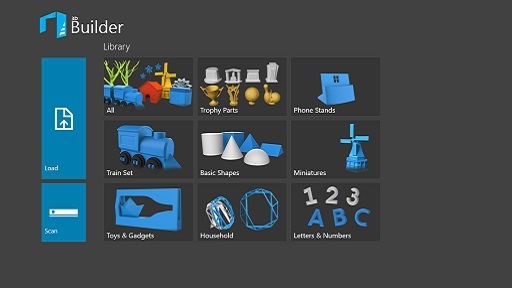 I have purchased a kinect v2 specifically for building 3d meshe's using 3d builder app. I have tried many times to build a 3d model of a human by moving the kinect around the person. The quality of models is very bad. The features of the face are not clear and there is a alien effect where the face is looking very damaged. I was using a alienware 17" laptop and was getting a good scan frame rate. As such this was not a hardware problem. However the quality of the scan in this tutorial looks very good. I am not sure what I am missing because of which I am getting bad quality scans. Can you please guide me on this. @vinoddoshi:Dear Vinod, I am sorry to hear that you are having trouble with scanning. Is it only the face that has problems or also the rest of the scan? If it is only the face, try to make sure that the person is as still as possible. And also, start the scan on the face and at the end of the rotation, finish on the face again and hold it for 2-3 seconds before pressing "Complete". Having the Kinect fixed and the person moving on a desk chair is better, because the Kinect sensor is not really aware of its position in space so keeping it fixed makes better results. You want to maximize the distance between anything in the background and the objet to be scanned. Otherwise part of the background will be caught by the sensor creating a lot of artifacts. Lighting matters. Try different places, different light levels. The quantity is not a major factor, low light with no shadow is generally better than lot of light with lot of shadows. The optimal being good lighting with no shadow. Reflections should be minimized. Having a white reflective wall in the back can lead to a lot of random noise in the scan. The best case scenario is a black wall or black cloth in the background. In the video we have a regular grey wall, it still produced decent results but could have been better have we used a black screen in cloth. I hope this helps, let me know if you still have problems with your scans. I bought my Kinect v2 for Windows already last October, but I haven't succeeded scan anything properly yet. I'm wondering could the problem be in USB 3.0? I have a Lenovo M92p SFF PC (i5, 6GB) and Nvidia Quadro K620 graphics card in it. When I run Kinect configuration tool, it says that USB 3.0 has unknown bandwith. I have tried a lot of ways to fix it, I even bought a separate USB 3.0 PCI card, but can't get rid of that problem. Otherwise, when I scan with 3D builder, I have even better frame rate than you in the video, but when I move the object I am scanning, program stops with a comment that I am moving too fast. And this is with lowest size and detail values. I have also tried with different lightings and backgrounds. Regarding the "moving too fast" error. This happened to be me when I was using a desk chair for turning the person I was scanning, usually it was because my foot that was rotating the chair got captured by the sensor and was moving too fast for the tracker. Please ensure that you don't have any fast moving part that are detected by the sensor. Also, when the sensor looses track that way, what you can do is stop your motion and come back to where it lost track and the scan should be able to resume from there. For a 360 degrees scans it sometime happened that the tracking was being lost around the shoulder area, what I would do in that case is turn backward slowly until the sensor is able to find the tracking again. Adjusting the size and the distance between the sensor and the object can also help fixing these issues (from experience the ideal distance with the preset size is one arm from the sensor, like we did in the video). Let me know if these tips worked. I too am having issues with 3D Builder, and Kinect. Found out after purchase that it has an issue with some AMD USB 3.0, so I don't know if that's it. Graphics card is Radeon HD 7481D, 4G RAM.The Kinect v2 Config Verifier gives a "unknown USB 3.0 warning. Everything else is green. And, the verifier gives me 25-30 frames per second, while 3D Builder achieves only 1-4 FPS. 3D Builder stops after 3-4 seconds. 3D builder gives me 1 to 4 FPS. Hi, the 3D scanning functionality of 3D Builder is using Kinect Fusion which does more processing and that can lead to a reduced FPS. Additionally, can you please check that you have the latest driver of your graphic cards? And if you have a gaming laptop that has 2 GPU, make sure that the app is using the powerful GPU and not the integrated one. I have tried both IE and Chrome and neither seems to offer me the possibility to download the 3D Builder software! @Steve Gould: Are you running Windows 8.1? I have bought a kinect V2 to try this however, I couldn't a rotating platform like the one you are using. any help on how to build one ? Otherwise you can try using a desk chair! Hi, does anyone know how to mirror an object? I was designing a toy truck. I wanted to design one side then mirror that side and join the two halves. I did this because it makes it easier to work on the inside of the truck. I just tried this out, but when running 3D Builder under the final release of Windows 10, the "Scan" button is missing. Any ideas? For Windows 10, we are happy to announce that we are upgrading the 3D scanning experience from a simple functionality in 3D Builder to a brand new dedicated 3D scanning app! We are working really hard to accelerate the migration of 3D scanning to its independent app that it truly deserves and we are very excited to say that you will be able to download it for free directly from our Windows Store very soon. 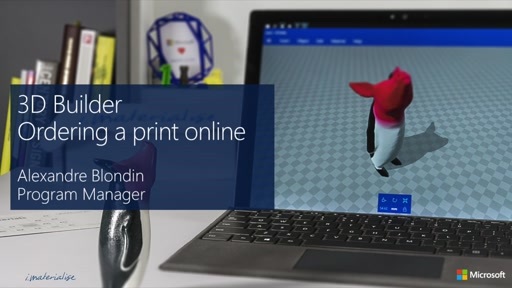 We know how eager you are to start 3D scanning with Windows 10 and we apologize for this short waiting period while we make sure every Windows 10 user continues to get access to all the other awesome features of 3D Builder. Stay tuned for more 3D scanning updates on Channel 9! An object cannot yet be mirrored easily in 3D Builder. We are investigating how to improve the experience of the app and we value your feedback. Stay tuned for future updates of 3D Builder! It is a shame that scanning was taken out before there was an alternative. I just upgraded to Windows 10 and found the 3D builder, which looked interesting so I bought the XBox One Kinect kit yesterday to try 3D scanning. After playing around with it for 5 hours (with no success) I managed to find out that the few scanner software packages I saw before purchasing only work with the XBox 360 Kinect and now I also found out that the scanner function has been removed form 3D Builder. Is there a way to be notified when the new Scanner Ap is up and running? I'm a new user of kinect v2.0. I got the problem of low frame rate and even at low velocity the sensor loss the following. I have a new NVIDIA QUADRO K4200, because although is not very quick, it provides the highest driver version of Direct X and also the stereo syncronization with 3D vision kit to edit in 3D. My motherboard is a GIGABYTE X79 UD3, which provides PCI X16 of third generation, and I think that PCI x1 is of second generation (until 5Gps). When I connect my kinect to the motherboard integrated USB 3.0, the color works, but I get low frame rate in the verifier and in the 3D builder program. When I connect it through the dedicated card, with its drivers instaled (for the XHCI controller), i get low rate and no color (it is worse than in the above case). I tested this card also in a PCI X16 slot, but it is not recognized by my system. I als activated both: EHCI and XHCI on my BIOS. But it does't solve my problem. Have me a 3D printer, a Kinect for xbox one, the adapter and have it kinected (like that play on words!) and was looking to see when the new windows 10 scanner app will be ready? Saw in a previous post that it will be available very soon.. was looking to see if there is an estimated ETA for that app? I have a Kinect V2 attached to my PC. Question - how does 3D-Builder detect the Kinect Box? All the other Kinect apps I've used turn on the Kinect when they start up. I don't have a Scan button on the main menu. Thanks! @Chuckles:Sorry, I just saw the previous note that the scanner function is being sent to anew app. My new question has been asked - any guesstimate on when it'll be ready? I'm looking forward to using it-thanks! Finally I got a TS-PDU USB 3.0 card and the fps go faster. I think that the problem is resolved. Only I have to learn to keep good ilumination conditions and try to make or to buy a rotary platform. So, didn't notice the 3d scanning function had been removed from 3d builder until I placed an order for a Kinect and windows adapter. Also, it looks like most of the free scanning software options don't support this scanner (xbox 360 scanner only). Can I use the functionality within Kinect fusion explorer (sdk v2.0) to create a mesh and then edit in 3d builder? Can I join the queue waiting for the Kinect fix for Windows 10 , pitty they introduce great app like 3d builder & then kill it in the 10 upgrade by missing out the Kinect support !! That so from the existence of Windows and other O.S. For example, I have old programs and other new (as 3D Builder), many of them which are expensive, and not because Windows updates its platform I had to bought every new update of my software. Neither the compatibility option of Windows solves this issue. In some programs using directly the graphics card the virtualization software (Vmware) neither solve it. My best solution from lustrums of years was to install all the needed versions of Win natively (starting from the older version). So I have versions from XP to 8.1, 8.1 only for Kinect v2. @folsomkyle: KScan3D will supports scanning on the Kinect for X-Box One. It takes single shots that you need to move together. Much more time consuming,but it might be better at scanning live objects that basically stay still, but may move a little during the scanning operation. So what is for? What use is this program or is it just a building game for fun? Was wondering how good the quality is with a kinect scan. Since I was hoping to use it on models with a height of 3 cm, and lot of details, is it good enough or not u think? 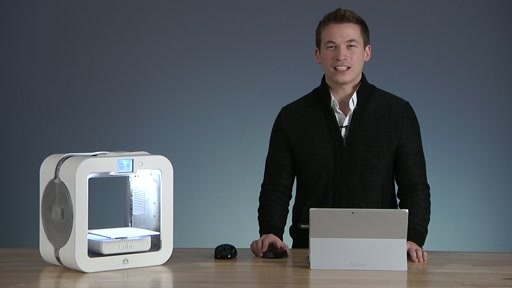 Alexandre, what is the planning date to release 3d scanning for Kinect v.2 in windows 10? There is a roadmap for the product? Oh no. I installed W10 on all my PC's and now I can't use the 3D scanning anymore. Any other software that can do 3D scanning on W10? Just got the Kinect setup and am roadblocked with no "Scan" option on Windows 10 3D Builder... Anyone have a solution or a different program? What do you do with Kinect V1? Will the software support multiple scanner? Thanks! I tried connecting 4 Xbox 360 kinects to Kscan 3d but the software is shutting down. 2 scanners work fine. Did anybody experience this? How did you fix the problem of the USB 3.0 'Unknown bandwith'? I am desperatly trying to connect my kinect to my computer for two weeks now and I really need it for a school project. I saw in your comment that, regardless of this problem, you were able to scan objects with the kinect? I have an Xbox One Kinect sensor and I bought the Windows adaptor. The only real documentation in the box was box to connect all the components, in 10 different languages. I expected Windows to automatically install the drivers upon connecting. Nope. When I searched on Bing, I found out that you had to install the Kinect SDK first. Fine. On the page to download the SDK, there were instructions that the USB cable had to not be connected before downloading and installing the SDK. How was I supposed to have known that - to download the SDK before connecting the USB cable? Then when I ran the configuration checker utility, everything else got a clean bill of health except the USB 3.0 port. There was a warning that it couldn't detect whether or not the USB port had enough throughput. Did my mistake of plugging it in before downloading the SDK have anything to do with that? A little more documentation in the box would have been nice. Do you have a link to instructions for the computer controlled turntable?? @Ken Vernaillen: Hi Ken. (and maybe this helps answer Michael's question?) Sorry I haven't been back to this page recently, so I missed your comment from a couple of weeks ago. When I run the compatibility checker, it tells me it can't determine the bandwidth. But that doesn't seem to be a problem - I just plug the Kinect Box in and it worked. All of the other criteria the compatibility program measures were OK. I think that just because it can't determine the bandwidth of the USB port, for my machine at least, that didn't stop the Box from working. I'm using a Lenovo IdeaCentre A7. One pair of USB 3.0 ports, one pair of 2.0 ports. I hope you got your project running! I was wondering if there is any tutorial that explains how to convert a xef file (created by kinect v2) in an stl file? 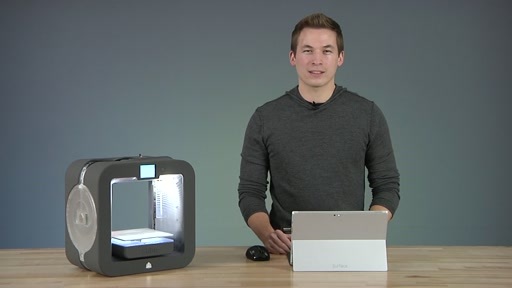 The new 3D Scan app allows you to scan an object while holding Kinect in your hands. For best results, either rotate around the object you are scanning and turn the handheld mode on, or use a turntable. If you use a turntable, put Kinect on a tripod and turn the handheld mode off. Download it for free in the Windows Store. We look forward to seeing what you can do with these awesome new tools. 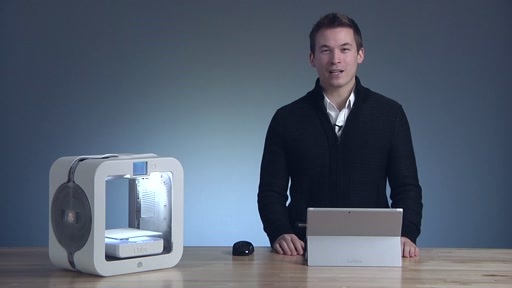 Send us an email and share your projects with us at ask3dprint@microsoft.com. I'm rockin a dell precision m6800 with windows 10 64 bit and trying to connect my Xbox 360 Kinect. I installed sdk 1.8 and skanect and reconstruct me. But I can't get it to connect to either scanning software. Any Ideas? Ive tried SDK 2.0, 1.6. OpenNI, etc. In device manager it keeps flashing kinect for windows. Which is kinda weird, I think the kinect is reaching out but no software is connecting. Help a brotha out! 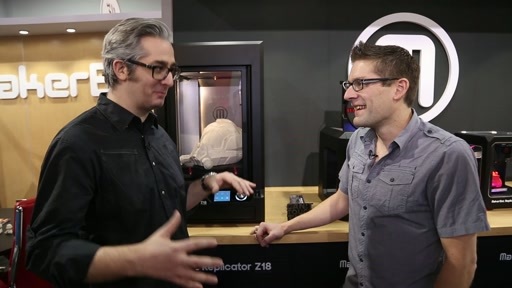 People around the world are 3d printing prosthetic hands for children. Recently someone asked on the Enabling the Future Google+ group whether Kinect could scan a child's arm where a hand was missing. More and more people are thermoforming a part of the prosthetic and an ability to use a Kinect to do a relatively accurate scan would help enormously since in emerging economies there is not funding for high resolution scanners. If anyone has been successful in scanning arms accurately it would be great to know about it so that people making prosthetics could use the scans to improve the quality of the prosthetic devices. what about tell in us what drivers to install. I have a nVidi Quadro card i7 with 2.67 GHz(8CPus) a extra USB3 Card, I installed the KinectSDK-v2.0_1409-Setup and the Kintec in the device manager. looks fine. I started the 3D builder and I dont have the scan button. What else I suppose to install. Having bought a Kinect V2 with an adapter specifically for 3d scanning, I am somewhat disappointed in the quality of the scans compared to the scans seen in the video. 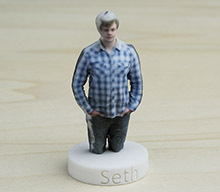 At first glance it would seem like an easy thing to do, but trying to make a 3d scan yourself at home shows numerous problems. The tracking, which is vital for the process of 3d scanning frequently drops out, making a clean sweep as seen in the video a rare experience. On top of that, the resolution of the scans is grainy at best when imported into the 3d builder software. One thing I noticed from this video. 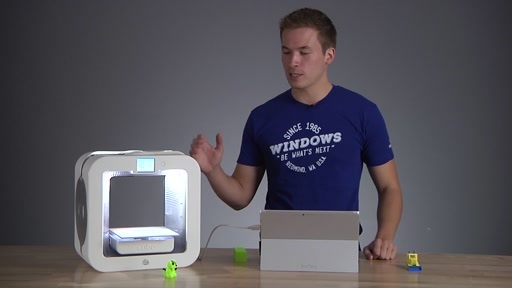 The scan that was made of Gavin is not the model they 3d printed in green (as seen in the video), his hands being in a different position. Thus leading me to believe the 3d models have been altered further before being printed, which is not shown in the video. Are there going to be further updates to the software to improve the quality of scans or have we reached the peak of the Kinect V2's performance? This is Imu from Siegen, Germany. I'm trying to make a 3D model of an object using Kinect v2 sensor.I'm having some problem while scanning, the Kinect camera is capturing everything including the background and the base over which my Object is lying.How can I focus only on my object? Can you please give your suggestion to solve this problem? the actual size of the sample scan compared to the size of files scanned will vary how? I got a problem with the 3D Scan App: the screen is grey and if i click the record button in the middle nothing happens. In the Kinect Fusion Explorer it works, but not with the 3D Scan App or with 3D Builder. Win 10, Kinect V2, Hardware is ok. Try this - open 'services.msc' by either searching or by typing it in the run box. In the services window, look for the 2 Kinect services and stop them. Launch the 3D Scan app by itself. Now, start the 2 Kinect services starting with 'Kinect Monitor' followed by 'Kinect Management.' 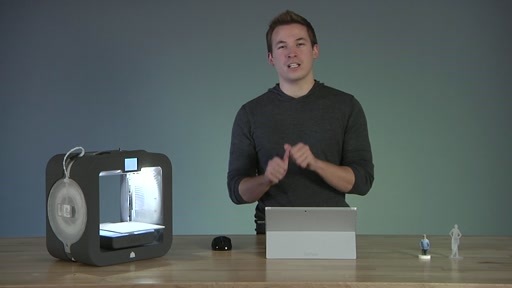 If the PC gods like you and your PC, this process will kickstart your Kinect v2 to connect to the 3D Scan app. If it doesn't, I'm sorry, I feel your pain. Its great that a new app was developed for Windows 10, unfortunately the 'turn Handheld Mode on/off' capability was left off, therefore Kinect V2 cannot be used with a turntable like is was able to before. Any solutions expected in the future? I installed 3d Builder on 3 different systems and the 3d builder from the microsoft app store looks NOTHING like in your video. There doesn't exist a scan option just options to model 3d objects by your self. Why the * are u cheat on poeple like that? I want my money back and buy rather intels 3d camera. What a big Deception. I know that this is old but please help with the new 3d scan app. I have tried i everything except low lighting and still can't figure out my low fps problem. I'm stuck at 15fps but have all greens on kinect verifier. Any chance of an updated tutorial too? because the 3d scan app seems to sometimes work differently then your setup for some cases.